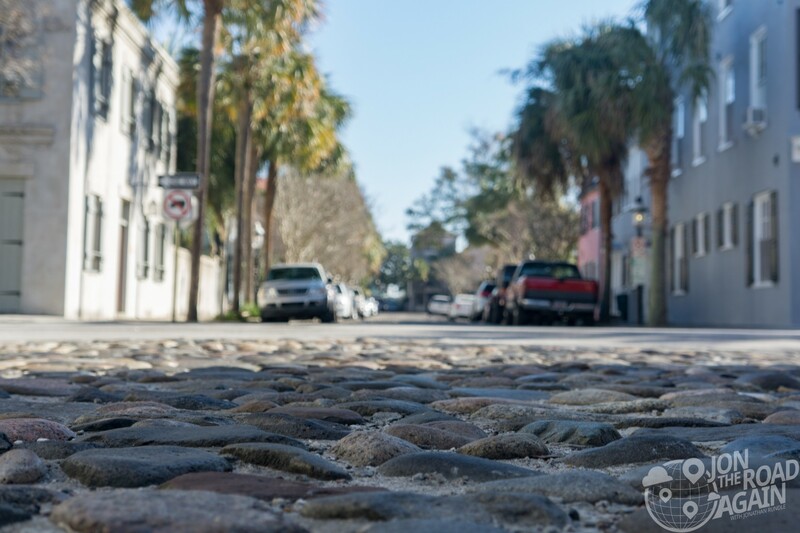 While our home in Seattle is blanketed in 4-6 inches of snow, we’re taking a morning Charleston walking tour through historic downtown Charleston, 2016’s “World’s Best City” according to Travel+Leisure. We only have a day to see all of the sites we can, so why not start with a historic tour? Let’s hit the ground—er, cobblestones—running. We met our tour group in the lobby of the Mills House Hotel. 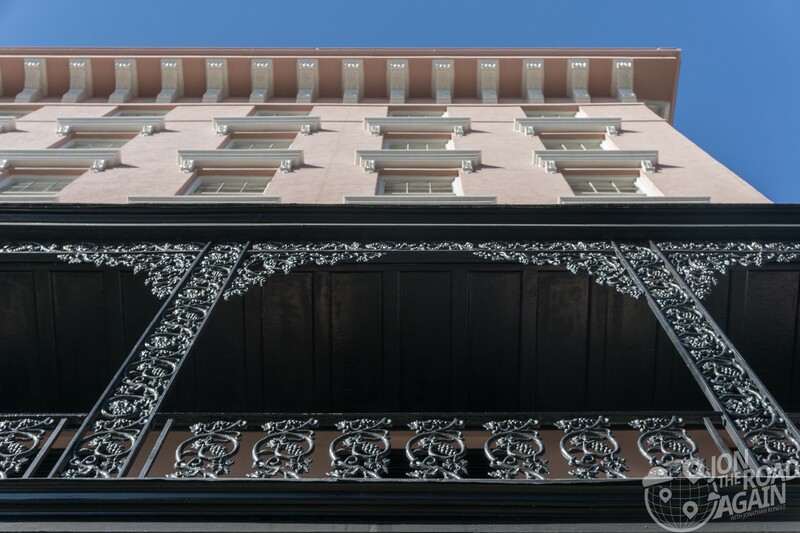 Supposedly haunted, this hotel was built in 1853 and this cast iron porch supposedly hosted a speech by confederate general Robert E. Lee (boo! hiss!). Next we make our way to through the historic side streets, the discussion goes into the dramatic impact 1988’s Hurricane Hugo had on the historic core. Until then, Charleston was a fairly normal downtown, not the pristine historic example it is today. When Hugo flooded the streets, repairs had to be made—historically accurate repairs. The bill for reconstruction was enormous. The storm caused $5.9 billion in damages to South Carolina alone. Insurance money was the next thing that flooded in, and the downtown core gleamed even brighter than before. Today, renovations face a strict approvals process. A whole new niche formed, representing building materials suppliers who specialize in hand-made bricks and other period-specific items. 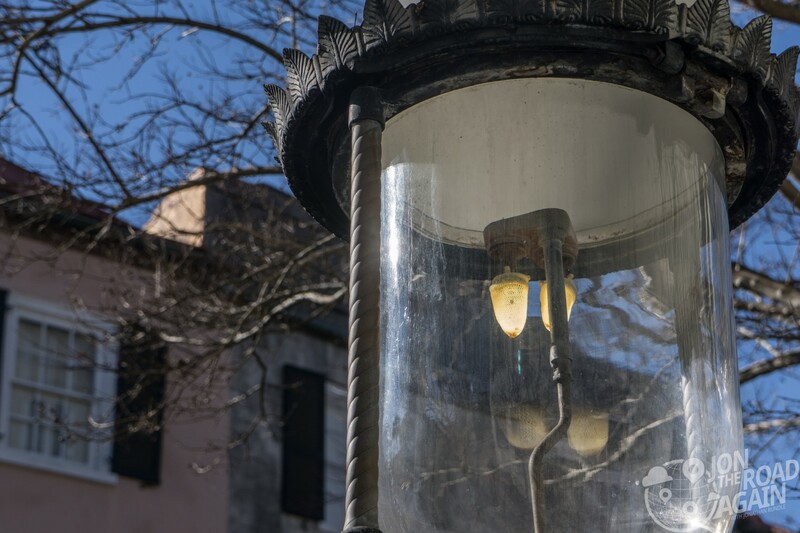 Many of the historic buildings in the downtown core still have natural gas lamps continuously burning at their doors. That same natural gas powers the street lamps. 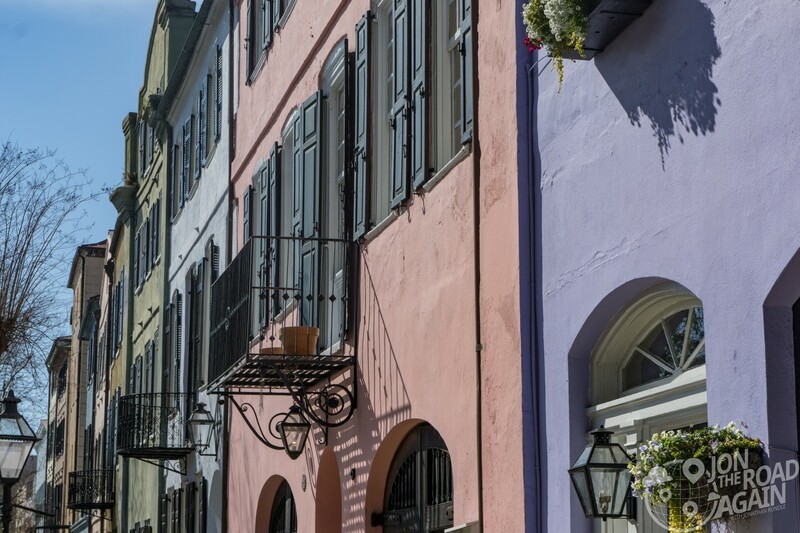 Fun fact: New Orleans’ gets all the buzz, but Charleston was the first city in the United States to have a French Quarter. 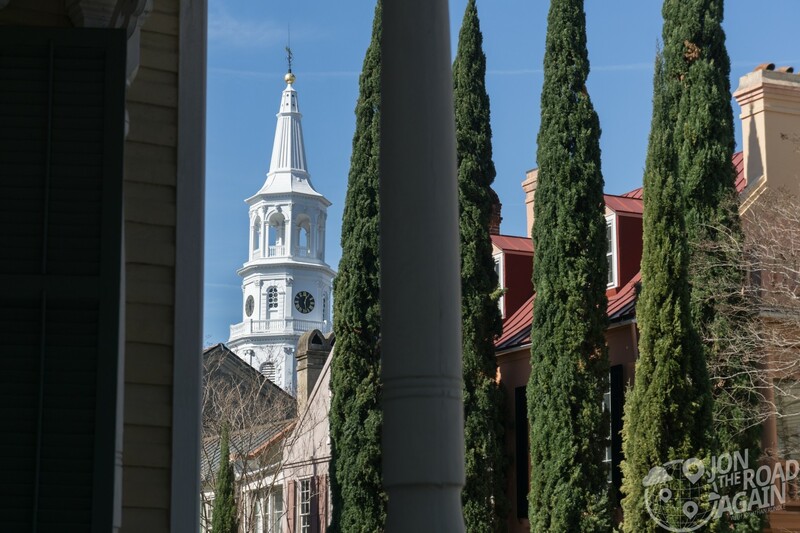 Church Street was one of the first streets planned in 1672’s “Grand Model for the Province of Carolina” which was the original plan for settlement. 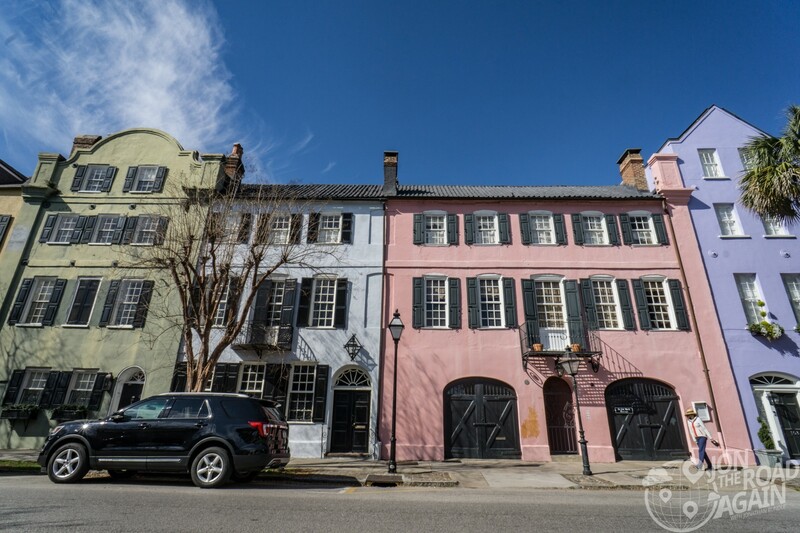 In the 1920s, Church Street became the center for the Charleston Renaissance, an artistic movement that celebrated the culture of the city in art, music and literature that inspired the opera Porgy and Bess. 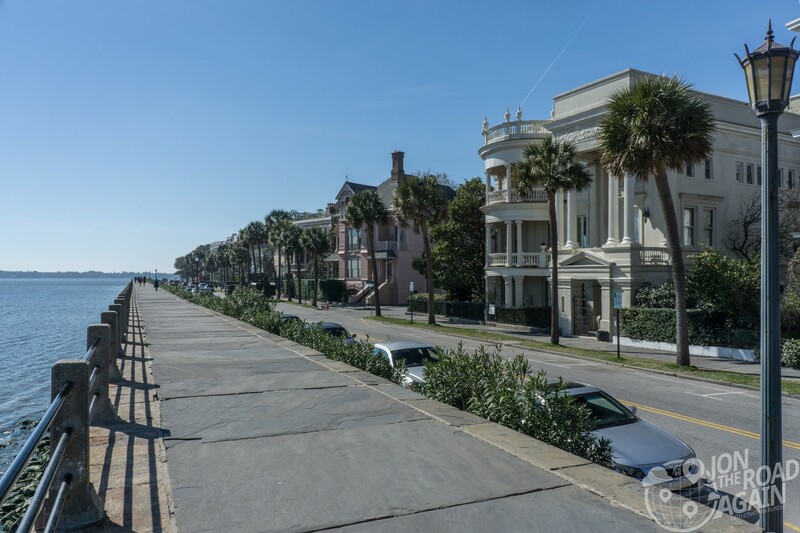 The Charleston Renaissance helped to spark the city’s preservation movement way before Hugo and is a big reason why we can do a history walk on this beautiful morning. The mostly straight Church street curves out briefly to accommodate the footprint of St. Philip’s Episcopal Church. That provides a great view directly down the street to the church. 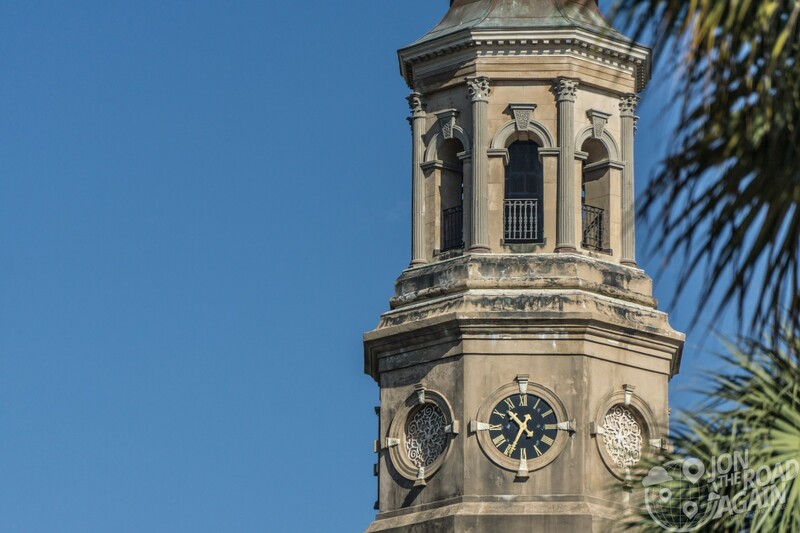 See more on Charleston’s churches and graveyards. Walking around the residential area, what you notice most is the bravery residents have when it comes to paint color. The exteriors are bright—especially when splashed with morning sunshine. 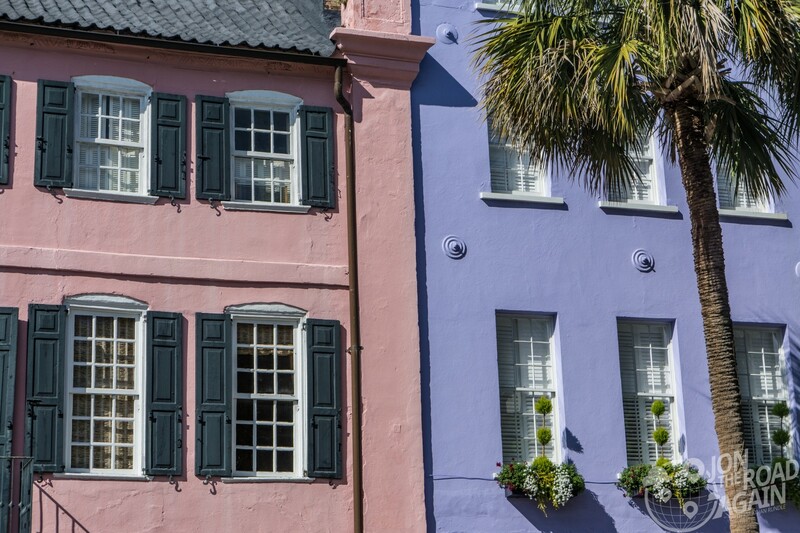 We’re told the bold color influence comes from Charleston’s early Caribbean-born transplants, who were no strangers to color in fashion—or architecture. Supposedly the bright colors kept the homes cooler in the oppressive heat of a South Carolina summer. I was taken by this view of someone’s sun porch. Something about this photo just spoke “southern hospitality” to me. I’m ready to pull up a chair, drink some sweet tea and eat a po’ boy. 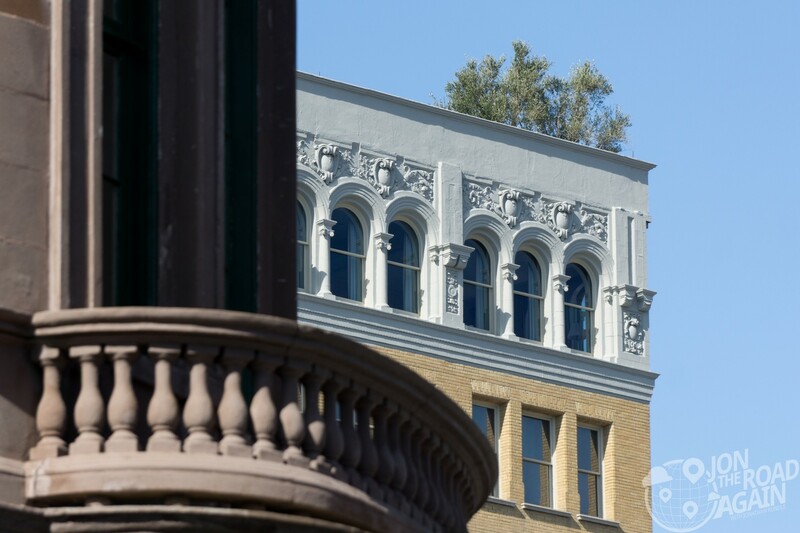 The Charleston walking tour moves on to Broad Street, the center of Charleston commerce over the years. The one and only skyscraper in the historic downtown is the People’s Office Building. When it was built, the residents hated it. Now, they still hate it. Today they’ve got protection against such “too-tall” buildings in the historic core. Ah, we’ve made it to that postcard-perfect section of town. Rainbow Row is the longest section of Georgian row houses in the United States. 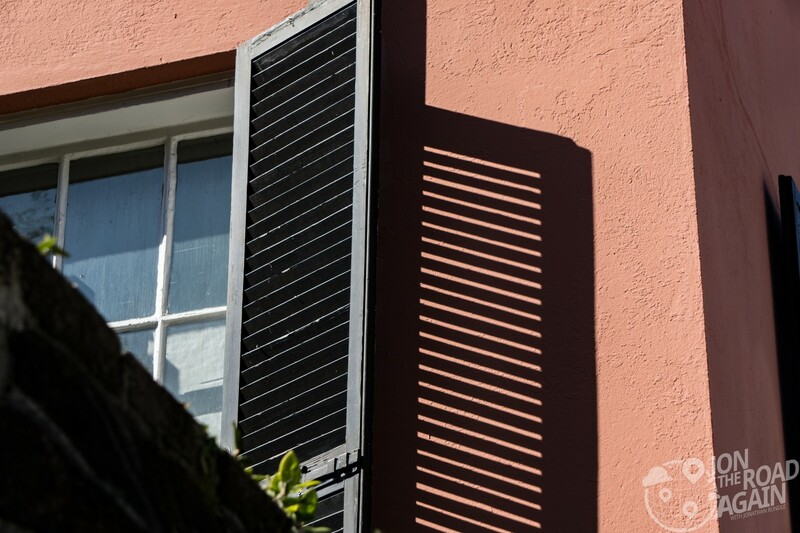 Most were built in the late 1700’s, and a few of them still have the original windows and exterior stucco. Once again we famously encounter the bright pastel painting of the homes. It all started with the pink house, first renovated in the 1930’s. The other owners followed suit with colors of their own until the whole block took on the chromatic cause. There are a number of shops and taverns nearby. 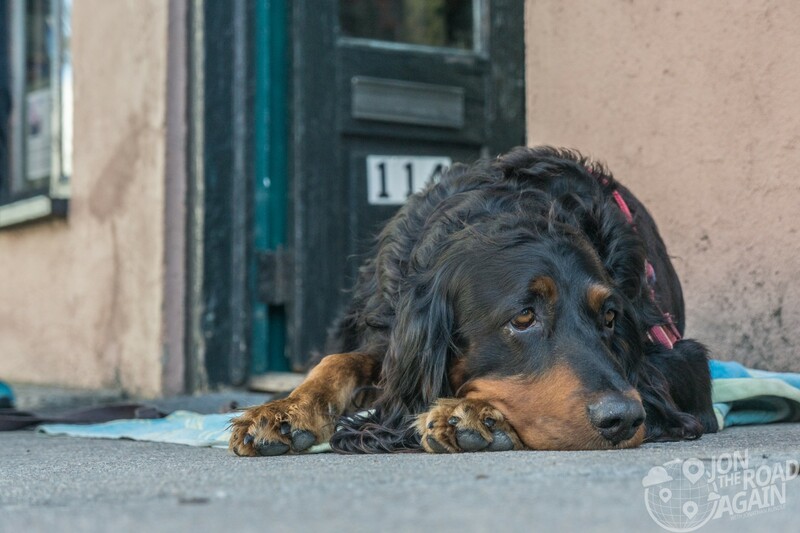 This tuckered-out shop dog shows no interest in our tour. 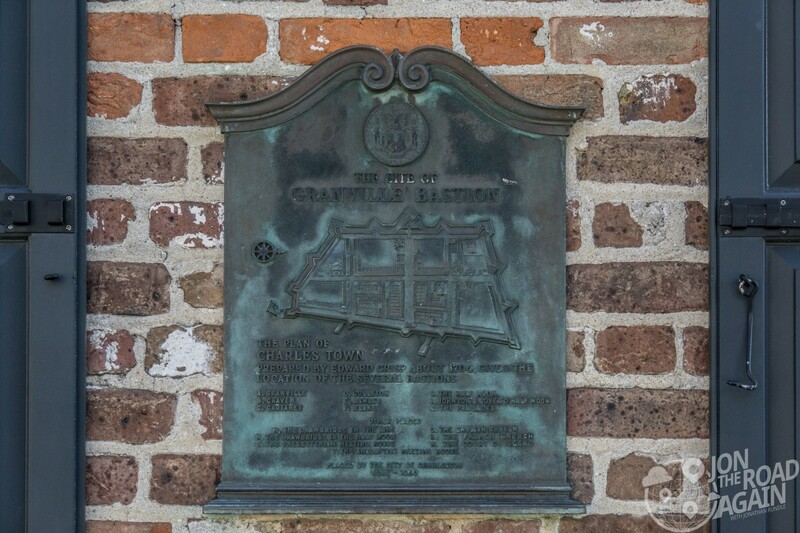 Originally called Charles Town in honor of the English king Charles II. He gave the land to eight of his friends and promised that it was theirs if they could make a go of it. It took seven years, but eventually settlement stuck. For a time, Charles Town was a walled city. This plaque marks where the wall would be in present-day. 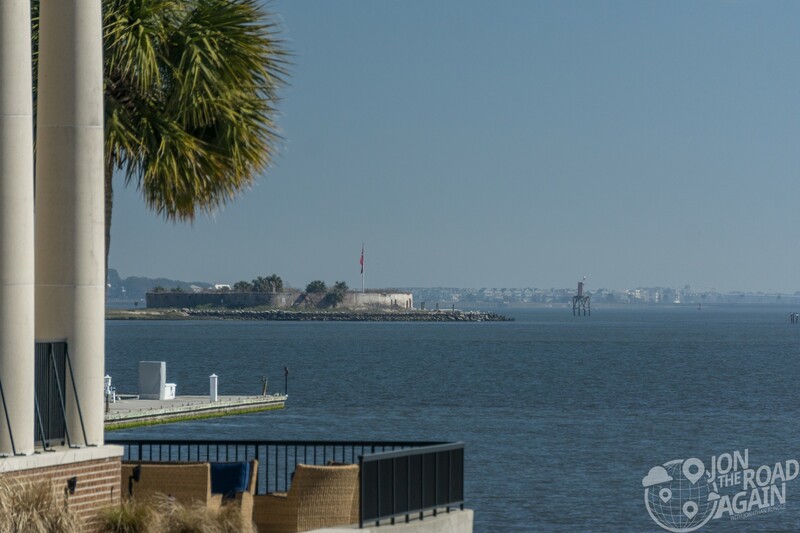 Next, we’re off to the lovely riverside promenade known as The Battery. 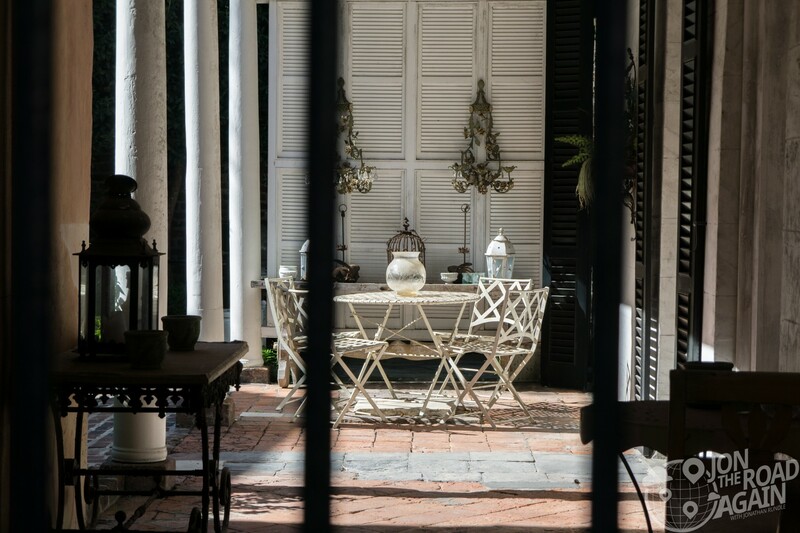 Here you see beautiful examples of well-preserved Antebellum style homes. We enjoyed opening Zillow and seeing how much the few homes that were actually for sale were asking. We didn’t give any offers. Off in the distance are Charleston’s forts. The famous Fort Sumter, home to the first shot of the Civil War, and it’s less cared-for harbor mate Castle Pinckney. The “castle” never really amounted to much, other than a brief stint as a prisoner of war camp during the Civil War. Preservation efforts have started and stalled over the decades and for now appears to accept it’s fate at the hands of weather and erosion. 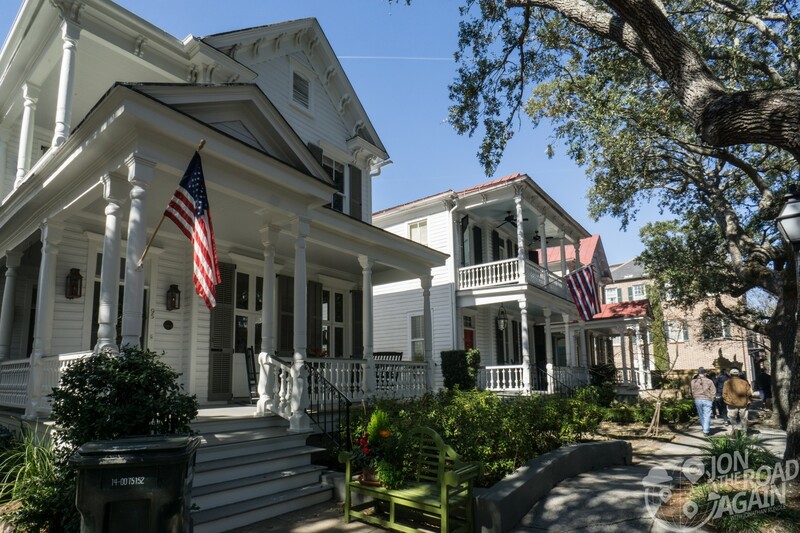 The Charleston walking tour continues along the well-canopied side streets. Many notable, historic homes line these downtown streets. Plaques nearby will tell you all about them. Lesser important homes will have a white plaque on the building, while the more important ones will get the signpost treatment. Keep your eyes peeled for either. We’re busy reading those plaques on homes and, again, looking at prices and interior photos on our Zillow* apps. The tour ends at St. Michael’s Church, the church in the photo above. It’s so pretty it deserves a post all to itself (I’ll get to it). After a nearly three hour tour, we’re ready to visit one of Charleston’s many excellent eating establishments for lunch. Call Bulldog Tours or book ahead online. Their website lists schedules and tour types. Wear your walking shoes and listen up; you might learn something! Nice pics and history. Mom and I enjoyed revisiting through your visit. We are getting caught up on your blog. You do wonderful work. I enjoyed this so very much !!!! Come back when you can stay longer.